IT WAS THE BEST 2nd BIRTHDAY EVER!!!! Thank ou to everyone who came out to support and the rest of the Silverback Nation, We’re just getting warmed up. It's ok Val; paleo rules were definitely suspended for the night. 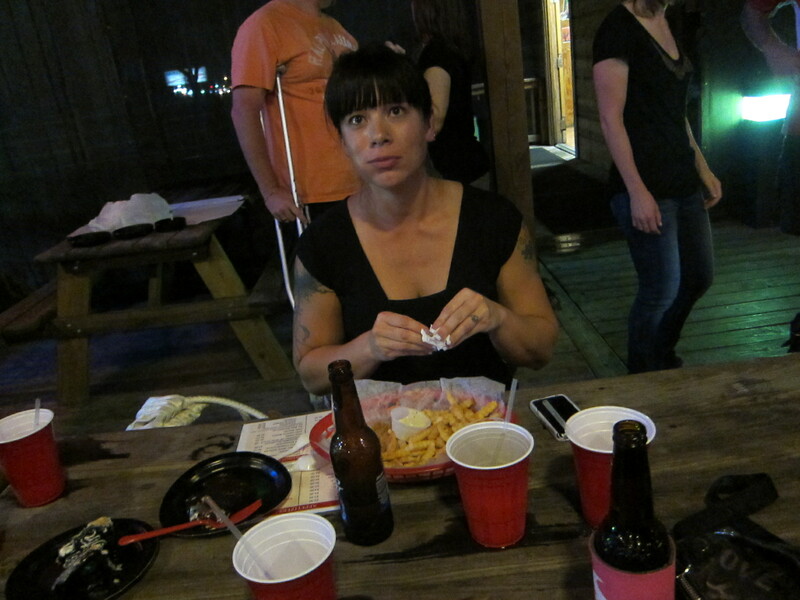 Freakin awesome picture of Val; she looks as if she got caught with her hand in proverbial cookie jar. The empty bottles around her place the very empty cake plates add so much to the story! I gotta admit one of those cake plates (empty) was mine. And it was gooood!